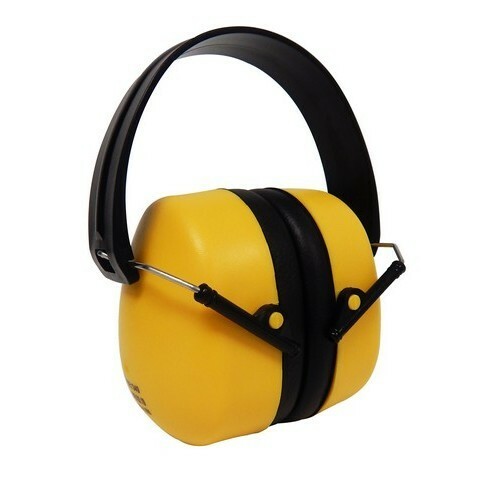 Ear Protection - Ear Muffs - Industrial strength Noise Reducing Ear Muffs. 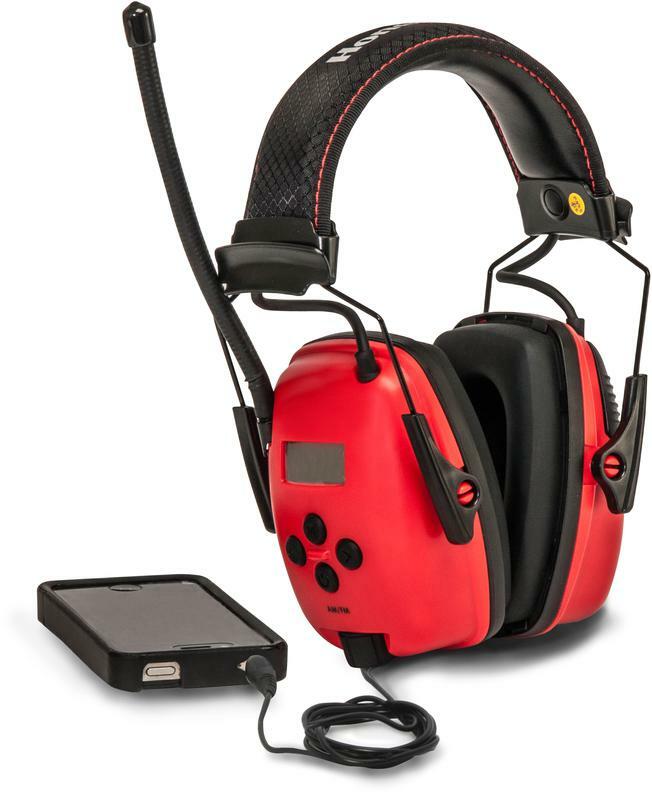 Thunder series earmuffs are designed with all-day comfort in mind. 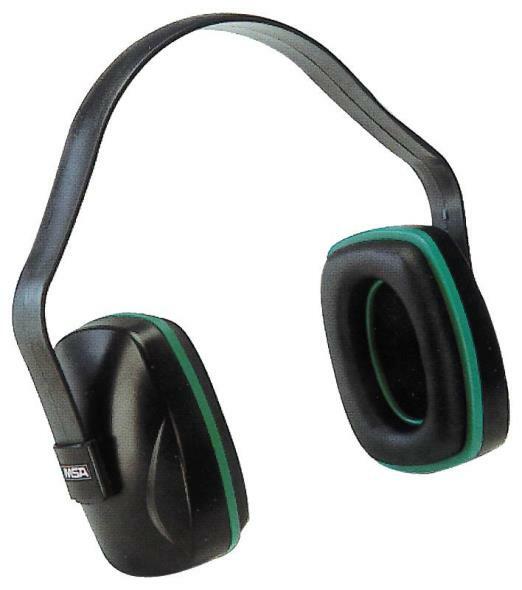 Thunder headband earmuffs feature a unique dual headband for better positioning and breathability, and a non-deforming outer headband that minimizes pressure on the head. Plus, its dielectric construction withstands use and abuse, while protecting workers in electrical environments. The Thunder series features patented Air Flow Control� technology for optimal attenuation across all frequencies and also snap-in ear cushions for easy maintenance. 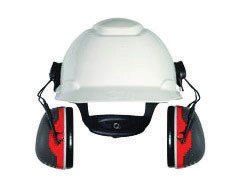 Dielectric construction suitable for all workplaces, especially electrical environments Uniform headband pressure for all head sizes, providing better comfort for long-term wear Non-deforming outer headband withstands rough treatment in the toughest workplaces Quick-Click height adjustment remains fixed during wear Snap-in ear cushions make replacement quick and easy. Agriculture & Farming Building Construction Forestry General Contracting Heavy Construction Landscaping Lumber/Wood Products Metal Fabrication Military and Law Enforcement Petrochemical Sporting Steel Transportation Mining Utility/Waste Management This item cannot be shipped to APO/FPO addresses. 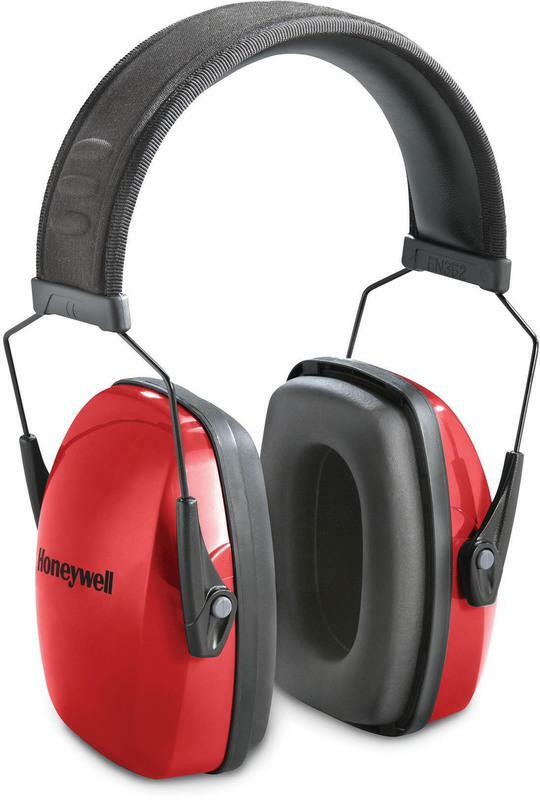 Howard Leight QM24+� Economical Earmuff, Ultra lightweight design and multiple-position headband allows wearer to select position over-the-head, behind-the-head or under-the-chin. 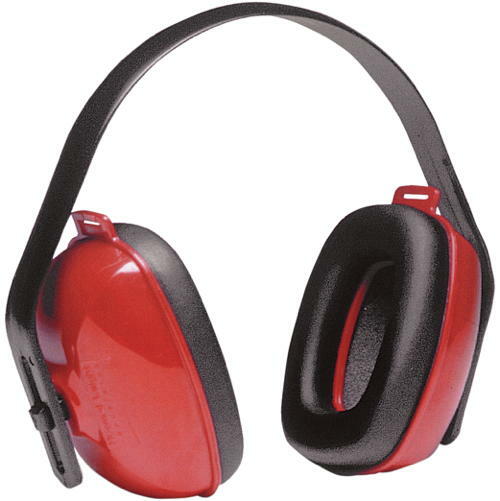 Alternative to cap-mounted earmuffs � wear with hard hats, face shields, respirators and other PPE. Dielectric construction suitable for electrical environments. 25 NRR. 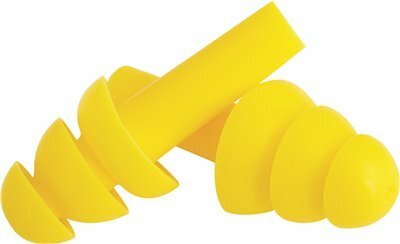 Radnor� Low Pressure Foam Disposable Earplugs are preshaped and tapered for easy insertion. Winged end for quick removal. Non-allergenic foam. Bright orange color eases compliance checks. Ideal for people with smaller ear canals Low-pressure polyurethane foam expands gently for comfortable, long-term wear Contoured T-shape for easy handling and fit Smooth, soil-resistant skin prevents dirt build-up Agriculture & Farming Automotive Aviation Building Construction Forestry Furniture Manufacturing General Contracting Heavy Construction Landscaping Lumber/Wood Products Manufacturing Metal Fabrication Military and Law Enforcement Mining Petrochemical Pulp & Paper Sporting Steel Transportation Equipment Utility/Waste Management This item cannot be shipped to APO/FPO addresses. Softies� are made of extra-soft, extra-light foam and tapered design seal gently and snugly without pressure, while the outer surface is smooth, so it doesn't irritate the ear canal. NRR 33, making them the highest independently tested NRR available. Radiant orange color for easy compliance checks. 100% PVC-Free. 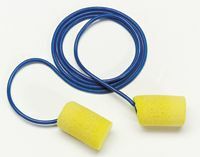 Corded earplugs prevent earplug loss. 100% PVC-Free. Radiant orange color for easy compliance checks. Extra soft, low-pressure foam for comfort and fit. 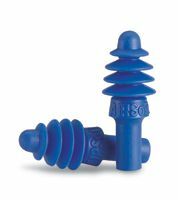 Tapered shape for easy insertion and removal Shaped to fit even very small ear canals Non-irritating smooth surface Highest independently tested NRR 33 Independently tested to ANSI S3.19-1974. This item cannot be shipped to APO/FPO addresses. Optimized for exceptional in-ear comfort, AirSoft's new four-flange design creates a better seal in the ear canal, delivering optimal protection and increased comfort for long-term wear. Internal fins create an interlocking, noise-blocking barrier within the air pocket, providing dependable attenuation for all wearers upon proper insertion. 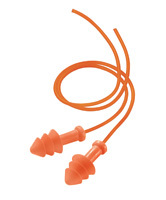 At the same time, AirSoft's firm stem and tapered shape facilitate easy insertion and removal, and allow the earplug to sit comfortably in the ear canal. Advanced air pocket design features internal noise-blocking fins. Four-flange profile creates better seal in the ear canal. Less pressure in the ear canal eliminates that plugged up� feeling Rounded flanges, tapered shape fits better in the ear cana.l Firm stem facilitates easy insertion and removal. Outstanding noise-blocking protection � highest attenuation in multiple-use Agriculture & Farming Airport Ground Crews Building Construction Food & Beverage Processing Forestry General Contractor Landscaping Lumber/Wood Products Metal Fabrication Pulp & Paper Warehousing Printing Utility/Waste Management Petrochemical Assembly/Light Manufacturing Aviation Reusable durable storage case This item cannot be shipped to APO/FPO addresses. Comfort meets performance as Swerve� incorporates a cutting-edge band design with the effectiveness of E-A-R foam earplugs. Lightweight and durable plastic flexes and rebounds easily for frequent on-and-off wearing. Two tip choices for wearer preferences. Sold with two tip choices - higher attenuating E-A-RFlex 28 pod and the soft Comfort Pod Neckband adjusts for optimal fit- band slides forward and back for custom neck and ear positioning. Ergonomic design helps to minimize interference- Neckband shape helps eliminate contact with collars and headgear. Also reduces band sound transmission. 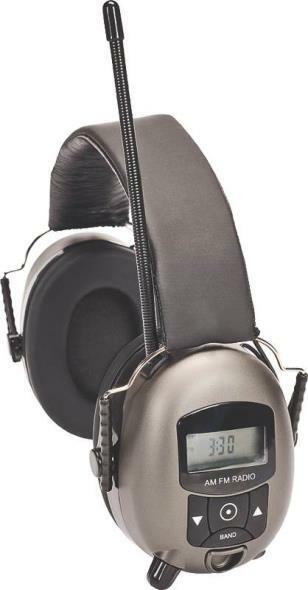 Noise Reduction Rating (NRR)*: 28 dB with the Flex 28 pod, or 19 dB with the Comfort Pod The NRR may overestimate the hearing protection provided during typical use. 3M recommends reducing the NRR by 50% for estimating the amount of noise reduction provided. CSA Class AL (Flex 28), CSA Class BL (Comfort Pod) This item cannot be shipped to APO/FPO addresses. Meteors� unique curved design provides exceptional comfort. The contours follow the shape of the ear canal which means less pressure at the smallest diameter of the earplug. Meteors� innovative undercut design affords a secure fit, all day long. Plus, they have the highest independently tested NRR 33 available, a bright green color for easy compliance checks, and are PVC-Free 100% PVC-Free. Highest independently tested NRR 33 The contours follow the shape of the ear canal which means less pressure at the smallest diameter of the earplug. Meteors� innovative undercut design affords a secure fit, all day long Meteors are independently tested to ANSI S3.19-1974 by Michael & Associates, Inc., State College, PA. The bright green color is a trademark of Moldex-Metric, Inc. and also provides easy compliance checks. Independently tested to ANSI S3.19-1974. This item cannot be shipped to APO/FPO addresses. Classic cylindrical shape provides the high-grade protection that you've come to expect. Slow-recovery, gradual post-insertion expansion ensures the creation of an effective sound barrier. Top-quality, moisture-resistant, dermatologically safe foam minimizes the potential for irritation. 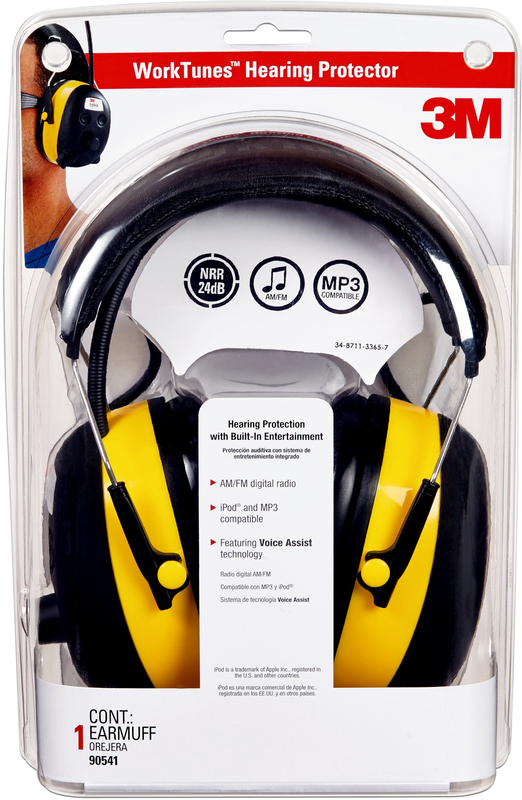 Corded/Cordless: Cordless; Shape: Cylinder; Material(s): PVC Foam; Noise Reduction Rate (NRR): 29 dB. Eye-catching random color patterns on top of the highly successful Softies� design put SparkPlugs� first in line. Extra-soft foam provides a comfortable no-pressure fit. Form-fitting, tapered bullet ensures excellent attenuation. PVC-free. 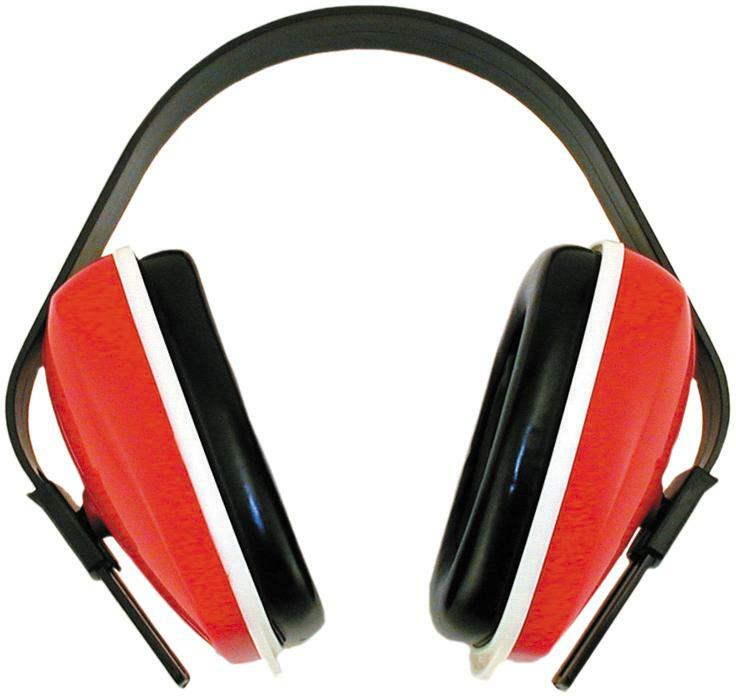 Corded/Cordless: Cordless; Shape: Bullet; Material(s): Foam; Noise Reduction Rate (NRR): 33 dB. 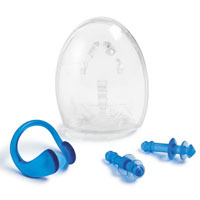 Replacement Pods for E-A-Rflex 28 Hearing Protector E-A-Rform� foam reacts to body temperature, warms, conforms, and becomes softer with wear time Non-irritating, dermatologically safe plugs NRR 28dB NRR 28dB This item cannot be shipped to APO/FPO addresses. 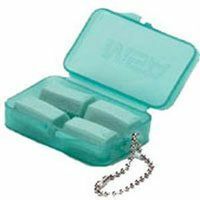 3M� E-A-R� Classic� earplugs were the first foam earplugs ever and are the most popular in the world. Today, they are still the leading seller across the world because of their outstanding advantages including: Excellent protection with an NRR 29dB; Easy to use cylindrical shape; Soft, low pressure for all day comfort; Non-allergenic, moisture resistant and non-flammable; Yellow for high visibility. 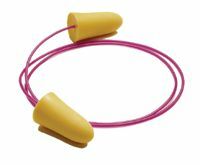 E-A-R� Classic� earplugs are proven performers. Their proven size has been tested to be the right size to fit the widest range of ear canals while the cylinderical shape has been shown to protect better than tapered plugs. E-A-R� is the only manufacturer to make its own foam, so it can regularly test for optimum and consistant performance. No wonder they've been the most requested hearing protector in the world for over 30 years. Most popular earplug in the world. Laboratory tested NRR 29dB. The E-A-R� yellow color is your assurance of proven protection. Moisture resistant dermatological safe foam is not irritating. Slow recovery PVC foam provides comfort with low pressure. Flame retardant - critical for storage considerations. Meets ANSI S3.19-1974 Standards This item cannot be shipped to APO/FPO addresses. The X3P3E utilizes a newly designed spacer to help improve attenuation without the need for amuch larger cup or double cup design. 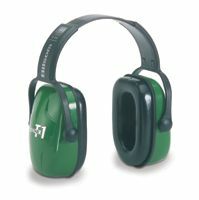 The lightweight earmuff is designed for protection against high-level industrial noise and other loud sounds. A universal mounting attachment fits most hard hats. Earcup pivot points that tilt for optimum comfort and efficiency. Replaceable ear cushions and foam liners (Hygiene kit HYX3). Stainless steel band construction resists bending and warping to offer consistent pressure over prolonged wearing periods Noise Reduction Rating (NRR) 25 dB. CSA Class AL. 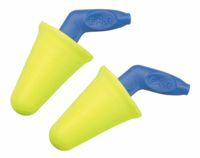 Radnor� Reusable Earplugs feature a triple flange design that seals the ear canal completely to provide greater hearing protection. Its special design also allows users to have long-wearing comfort for all day use. Since they are reusable, they can be washed for extended use, saving you money. 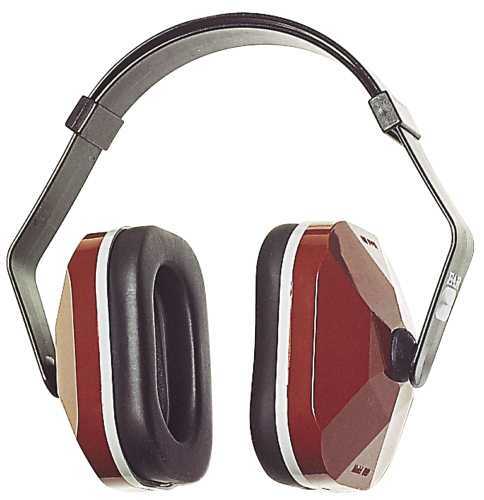 A triple flange design that provides exceptional hearing protection, long-wearing comfort and reusability They can be washed for weeks of use Intense orange plugs and cord make them highly visible Assembly/Light Manufacturing Automotive Aviation Building Construction Food & Beverage Processing General Contractor Landscaping Lumber/Wood Products Metal Fabrication Pulp & Paper Printing Utility/Waste Management Warehousing Agriculture & Farming Forestry Manufacturing Military and Law Enforcement Petrochemical This item cannot be shipped to APO/FPO addresses. E-A-R� exclusive patented orange Fitting Ring. Most popular earplug in the world Moisture resistant dermatological safe foam is not irritating. Slow recovery PVC foam provides comfort with low pressure. Laboratory tested NRR 33dB. Meets ANSI S3.19-1974 Standards This item cannot be shipped to APO/FPO addresses. 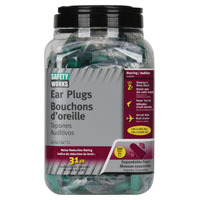 Meteors� ear plugs now come in a new, small size to fit smaller ear canals. The same exceptional comfort that comes from the unique curved design of Meteors� is now available for women and other workers with smaller ear canals. The contours follow the shape of the ear canal which means less pressure at the smallest diameter of the earplug. Meteors� innovative undercut design affords a secure fit all day long and are PVC-Free. The large base helps provide proper insertion, fit and removal. 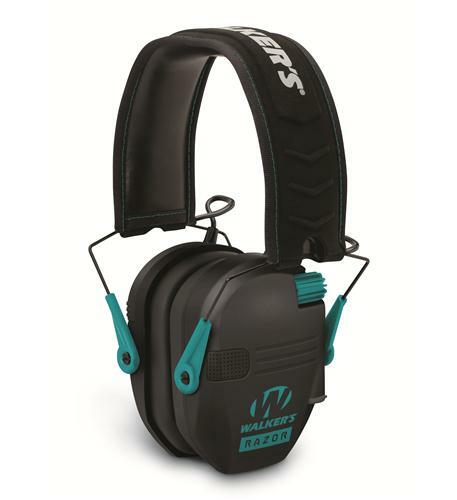 And now the same high-level comfort and fit is available to women and other workers with smaller ear canals with the new Meteors�, Small. 100% PVC-Free. Soft, slow recovery foam and contoured shape molds easily to the ear canal for all day comfort. The contours follow the shape of the ear canal which means less pressure at the smallest diameter of the earplug. Meteors� innovative undercut design affords a secure fit, all day long Meteors� are independently tested to ANSI S3.19-1974 The bright green color is a trademark of Moldex-Metric, Inc. and also provides easy compliance checks. Independently tested NRR 28 for Meteors� small This item cannot be shipped to APO/FPO addresses. 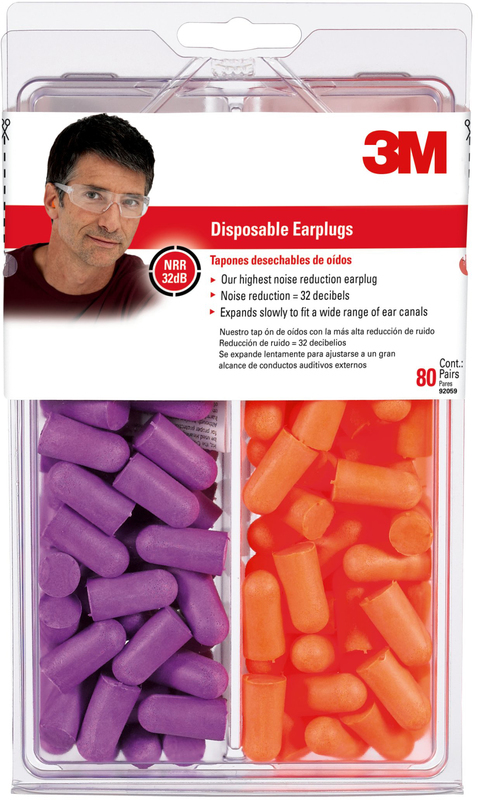 3M� E-A-R� Classic Soft� earplugs are made of a patented, thermal-reactive foam used by the NASA space program. The material feels smoother than ordinary foam, and starts out firm to allow for easy insertion. Then, the plugs warm with the body temperature. They actually soften and shape to the ear canal. This "custom," low pressure seal helps provide an excellent NRR of 31 dB. Better yet, the plugs get even softer and more comfortable with extended wear. Not Just A New Plug, A Whole New Foam. 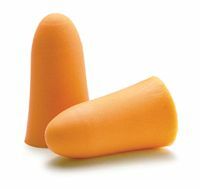 E-A-R� Classic Soft� earplugs will change the way people �feel� about foam earplugs � because they feel entirely different. 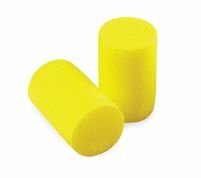 Made of a patented new foam, these plugs have a smaller cell structure and feel smoother "to the touch" than other foam. But that's just the beginning, the foam plugs actually react to the wearer's body temperature. Thermal-Reactive: Soft Gets Even Softer. The new plugs start out firm enough to make roll-down and insertion easy. As the foam warms to the body temperature, it becomes even softer and shapes to the individual's ear canal. This �shaping� allows the plugs to form an excellent seal against noise (NRR 31 dB) and, as time goes on, the foam continues to soften for added comfort. Most popular earplug in the world. Laboratory tested NRR 31dB. The E-A-R� yellow color is your assurance of proven protection. Thermal Reative Foam� gets softer with wear. Meets ANSI S3.19-1974 Standards This item cannot be shipped to APO/FPO addresses. 3M� E-A-R Push-Ins� combine the easy use and benefits of a reusable earplug with the cost and comfort advantages of a disposable earplug. It's all made possible with the innovative, simple-to-use design and the ultra-soft performance of a tip made of patented E-A-Rform foam, a derivative of the foam developed for NASA for use in their space shuttle seats. SofTouch� Push-Ins� have the highest NRR of any Push-In product in an easy fitting narrow to wide design. It's also the most comfortable Push-In style product. 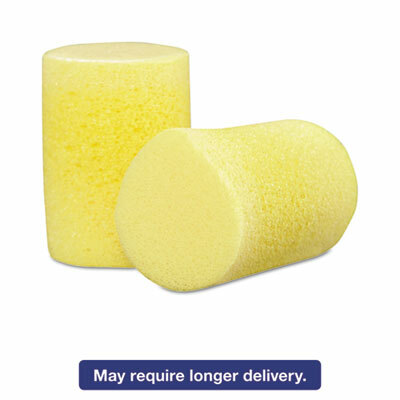 No rolling or touching plug portion during insertion; eliminates fear of ear contamination EARform foam tip is shaped and sized to mold comfortably to fit virtually every size earcanal Stem allows for better hygiene The E-A-R� yellow color is your assurance of proven protection. Simple to use design and ultra soft performance. Workers don't have to take the time to roll-down the foam tip. Quicker and easier to use. Laboratory tested NRR 31dB. Meets ANSI S3.19-1974 Standards This item cannot be shipped to APO/FPO addresses.